Croatia: Finally, a realistic plan for national stadium? Earlier today the Croatian Jutarnji List revealed the supposed national stadium plans of HNS, the domestic football association. No renderings just yet, so don't get too excited. But even without them it's possibly the most sensible stadium scheme we've seen for Vatreni, as the national selection is known. Keep in mind, when Croatia was bidding for Euro 2012, their bid comprised a revamped Maksimir national stadium for 60,000 people. 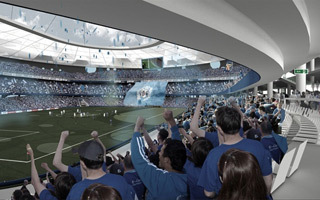 Two years later, in 2008, the plan was to build a (still huge) 50,000-seater in Kajzerica, on the south bank of Sava. Now it's much more realistic both in terms of cost and actual demand. The reported scheme includes 35,000 seats, which is enough to safely meet UEFA Category 4 criteria and host, for example, the UEFA Super Cup. Such stadium should be possible to build within €40-50 million, as inspirations from Turkey and Hungary suggest. Two additional major pieces of information on the project include location and source of financing. 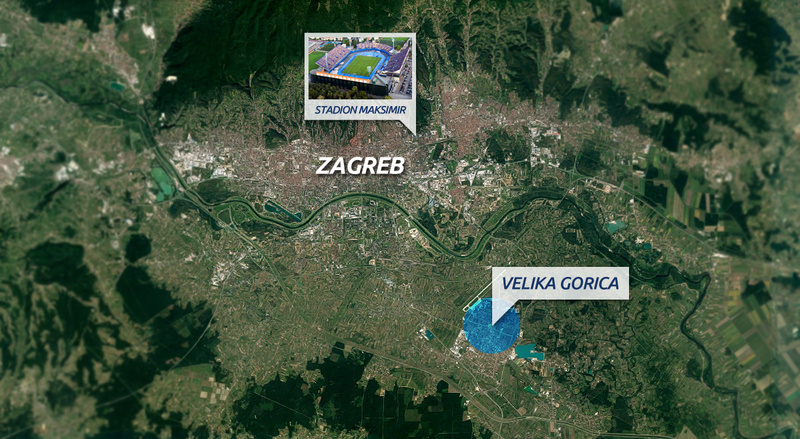 For the first time a national stadium scheme would see relocation outside Zagreb proper. The new site is Stadion Radnik in Velika Gorica, just outside city limits. The plot is very well connected, including highway access and proximity to the international airport. As for funding, at least a significant portion would supposedly come from the national football association itself. HNS is expected to get additional €12-20 million in funding from the creation of UEFA Nations League, though major contributions from other stakeholders would probably prove vital.